Traditional notions of transport mobility have been radically revolutionised over the past decade but with the rapid pace of technological change, the future looks more breathtaking than ever before. 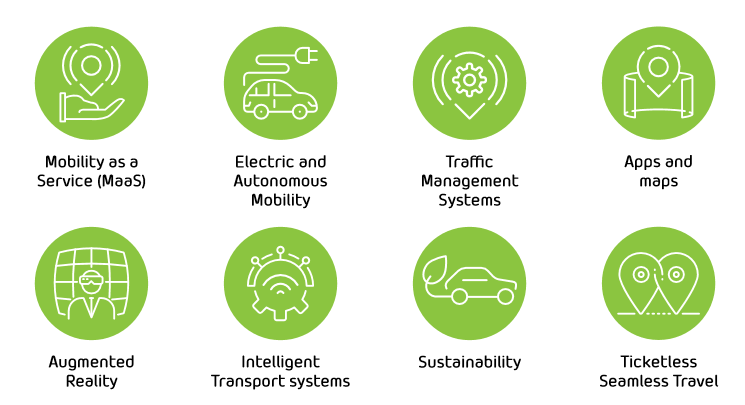 The new Smart Mobility Innovation Zone at Middle East Smart Mobility 2019 will help industry disruptors, technology providers and forward thinkers showcase their vision for transportation and mobility systems of the future to the event’s visitors, VIPs and press. This dedicated area on the show floor is free to attend and allows sponsors and exhibitors to demonstrate their innovative solutions to the event’s thousands of attendees.